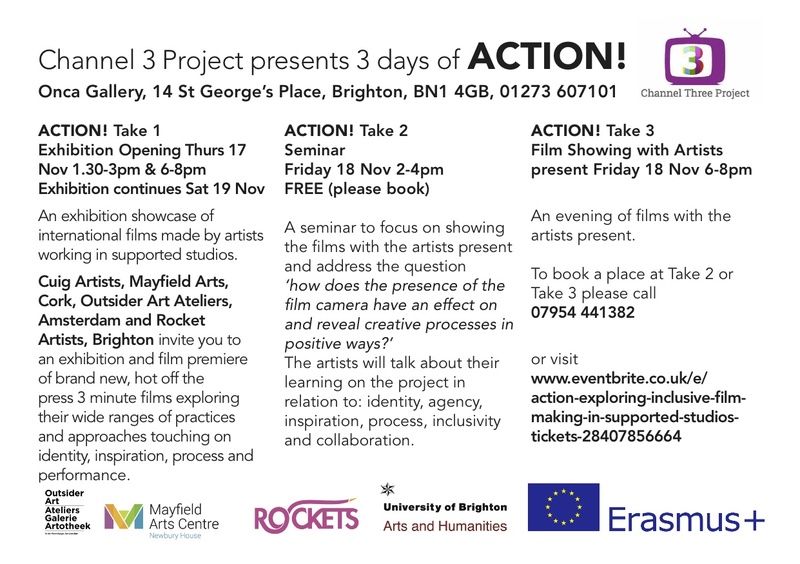 Channel 3 Project presents 3 days of Action! 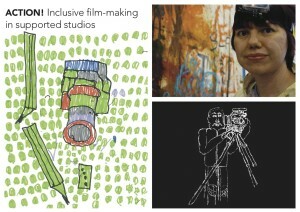 An exhibition showcase of international films made by artists working in supported studios. 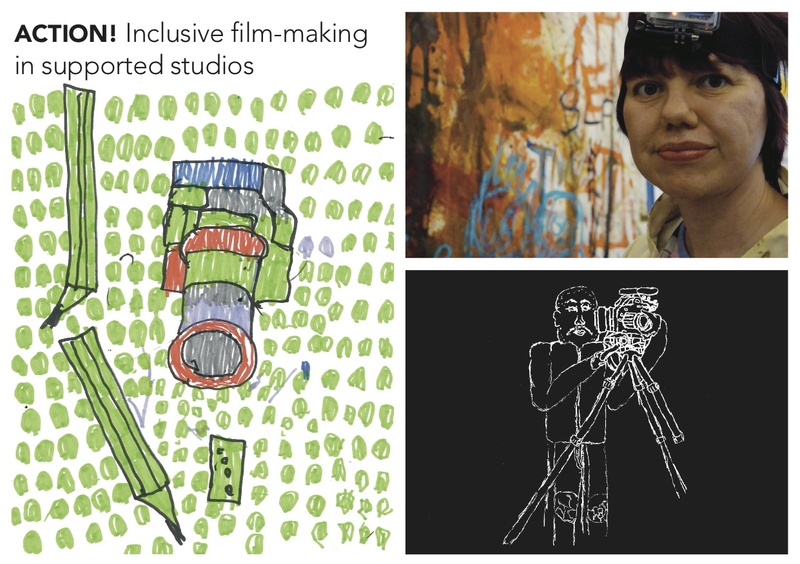 Day one features an exhibition and film premiere of 3 minute films created over the partnership exploring the wide ranges of practices and approaches we use, touching on identity, inspiration, process and performance. 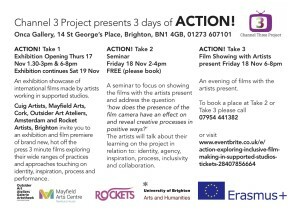 A seminar on day 2 will discuss how the camera has an effect on the creative process. Day three will conclude the event with an evening of films with the artists present.